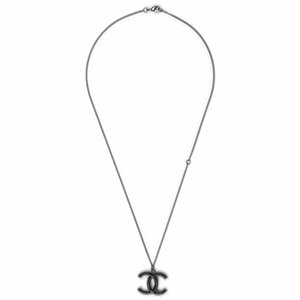 Previously, ChanelNecklace.org was an online store which appeared at this domain selling replica Chanel jewelry, necklaces and earrings. As a result of a legal action, a Federal Court ordered the store shut down permanently and the ownership and control of the domain name transferred to CHANEL. The Court also ordered the previous owners and operators of the former ChanelNecklace.org expeditiously pay over $610,000.00 in damages. It is not surprising that necklace online outlets offer top quality authentic replica Chanel jewelry. But what exactly is it that they are really selling? We are here to give you an idea. Since CHANEL does not sell jewelry at outlets at a discount or wholesale price, cheap designer necklaces found at online outlet stores likely could be top quality fakes and not top quality fine CHANEL authentic necklaces. Sometimes it is difficult to tell at first glance. Paying attention to the fine print is essential. Each dollar spent at a discount designer jewelry outlets for cheap necklaces is likely to be lost to low quality fakes which are anything but close to a genuine CHANEL masterpiece. Products with CC or CHANEL logos affixed to fakes is illegal, and are definitely not CHANEL. Staying far away from jewelry outlets drawing attention to top quality and authenticity for their fakes is a surefire way to avoid being tricked into buying a fake. This is why buying a replica Chanel necklace isn't a bargain. Many of the elegant and original fine jewelry CHANEL pieces, such as the camellia necklace in white gold and diamonds, are created by master artisans, who meticulously proceed with great reverence for the treasured symbols of the CHANEL legacy. A replica necklace or bracelet are not inspired by, nor do they honor, the intrinsic essence of Coco Chanel. Replica necklaces, which are often mass-produced with less than standard raw materials and workmanship, are best avoided. Top quality or 100% mirror image imitations being offered for sale with cheap prices at discount outlets will not be anything close to what can be expected from an authentic CHANEL necklace. Knockoff necklaces are usually poorly manufactured and may appear sloppily finishes, off-centered, lopsided or irregular. Many bargain replicas quickly tarnish or break apart, sometimes before they are ever worn. The fake necklaces are usually problematic and being leery of them is quite justified. It is best to be wary of the bargain prices and play it smart by rejecting the cheap replica and pursue only necklaces that are authentic CHANEL.